For a long as people can remember, it has always been a tradition that many people consider lobster the most romantic of all meals. 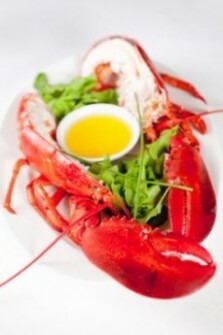 Lobster is often the dish of choice for celebrations and holidays and now we know it extends to romance. Oysters are traditional delicacies that are also served as part of a romantic Valentine’s Day meal. Oysters are known to be aphrodisiacs in many cultures. A good reason why these delicate shellfish are the perfect choice for Valentines Day dinners. Raw oysters on the half shell with ice cold champagne makes the perfect appetizer. Lobsters this year can be ordered online and are available for delivery anywhere in the united states on Valentine’s Day, February 14, 2016.